Thanks for coming to the home of our new podcast, telling fascinating tales about people and places down here on the southern edge of England. 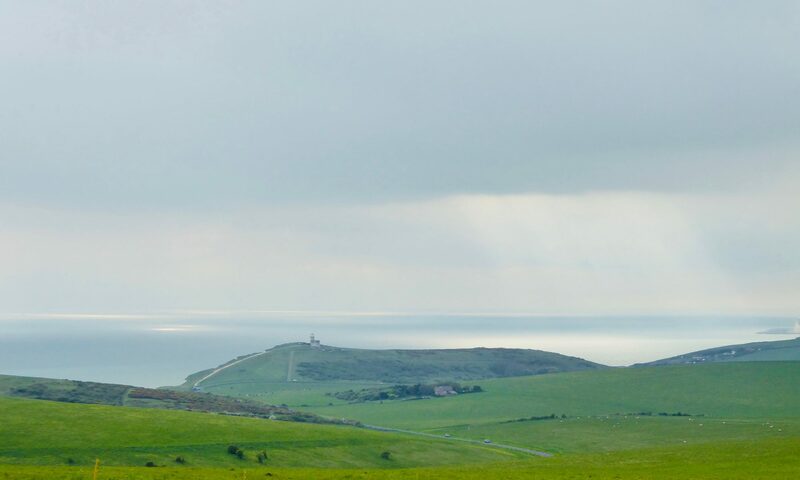 We’ll be exploring the dramatic coastline around Beachy Head, Birling Gap, the Seven Sisters and beyond. We’ll be talking about what it’s like to live on the edge geographically, but in all sorts of other ways too. Anything can happen here. Brought to you by award-winning broadcasters Emily Jeffery (Jerusalem Awards) and Cole Moreton (Radio Academy gold, World’s Best Radio Awards gold), delving deep into the deep South, where we’re closer to France than we are to Westminster but if you go too far you fall off. Sign up below to follow this blog and we’ll let you know when the next episode is ready. Here’s Emily trying to stop the sea coming in … no, sorry, recording the sounds of the sea (and Mabel).